In today’s post, I share my latest video featuring the new fish I added to my small greenhouse pond. 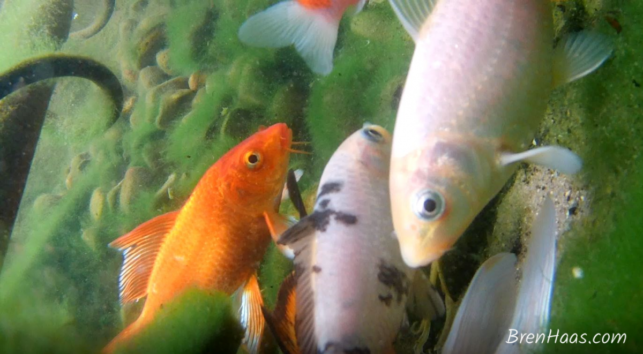 Check out the video featuring how to Acclimate the new fish to your pond. The video also shows how to tell a Koi from a Goldfish. 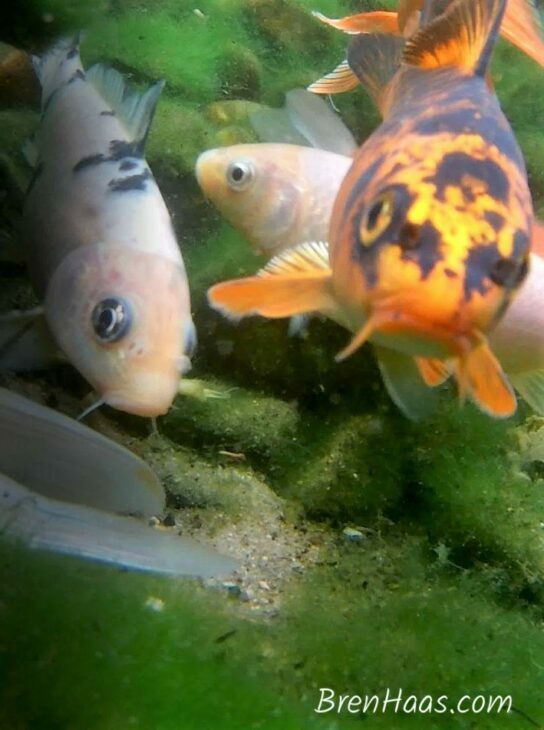 In the small pond I have in my greenhouse (geodesic biodome) are 5 pretty koi fish. All but 1 of the Koi are from a local fish farm. When my friend contacted me about a fish that needed a new home I was excited to welcome him to the family. I was told the fish was a Koi but after some close-up photos and investigation online about Koi I am very sure this is a goldfish. You be the judge when you see the photos I took up close using my underwater camera. I let my husband and son watch the video and they both were not only impressed by the video quality but could ID the fish. I’ll let you be the judge after you scroll down and see the photos I took from a screen grab of the video. This video is on my YouTube Channel @brenhaas. Be sure to follow me there and subscribe so you get notifications when new videos go up. You can also subscribe to my Newsletter for more details and updates. I hope you can see this video clear. I am very sure the new fish is a goldfish and not a koi. Either way, super excited to add him to the winter pond in the geodesic biodome. Here are some photos from the winter koi pond in the dome. Can you see the fangs or whiskers on the fish? 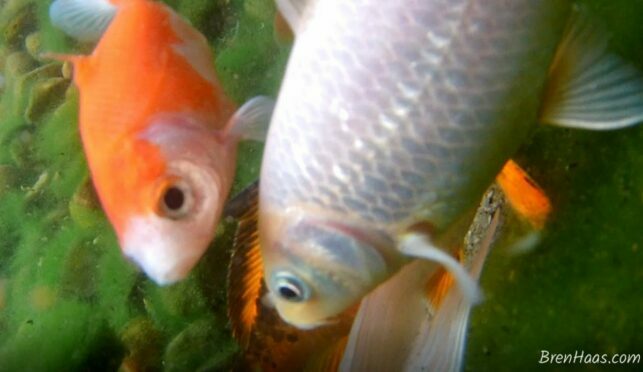 Can you tell if they are goldfish or koi in the pond? Do you have fish in your home garden pond? Maybe you have a small decorative pond like mine in the greenhouse/dome? I’d love to hear from you so be sure to comment on this post. Reach out to me on this website on my contact page to tell me more.